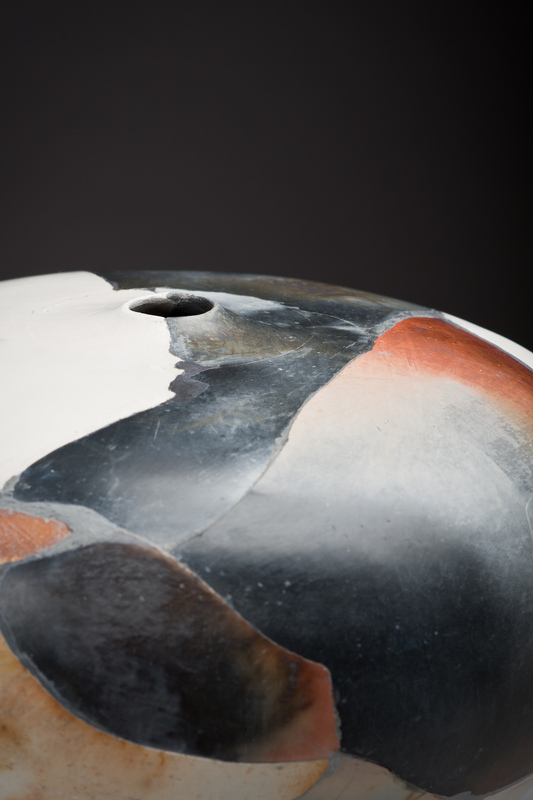 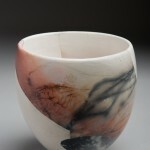 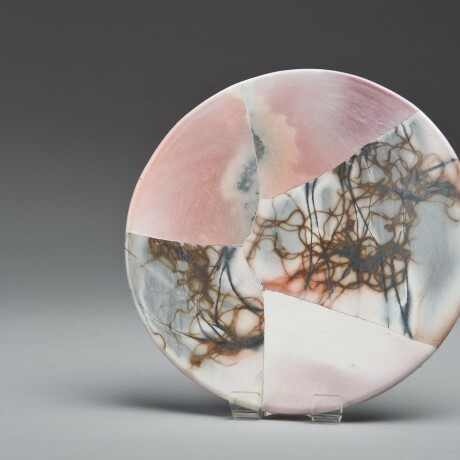 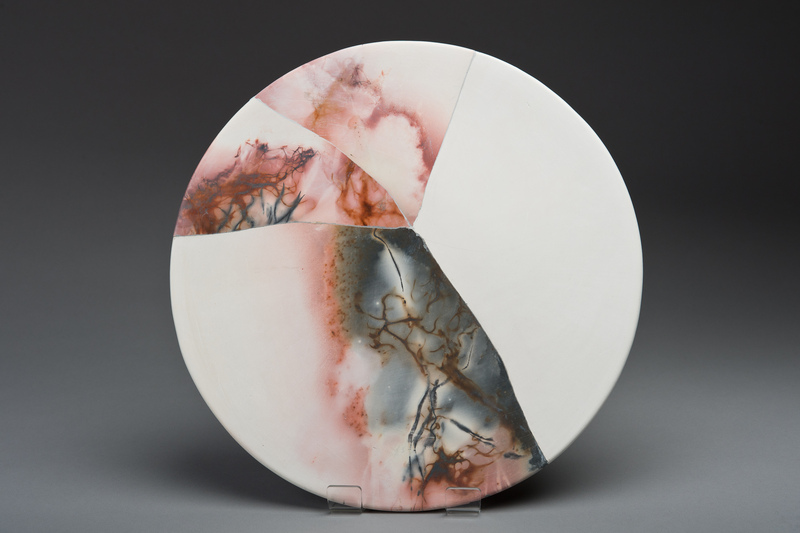 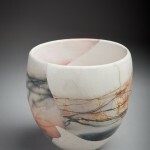 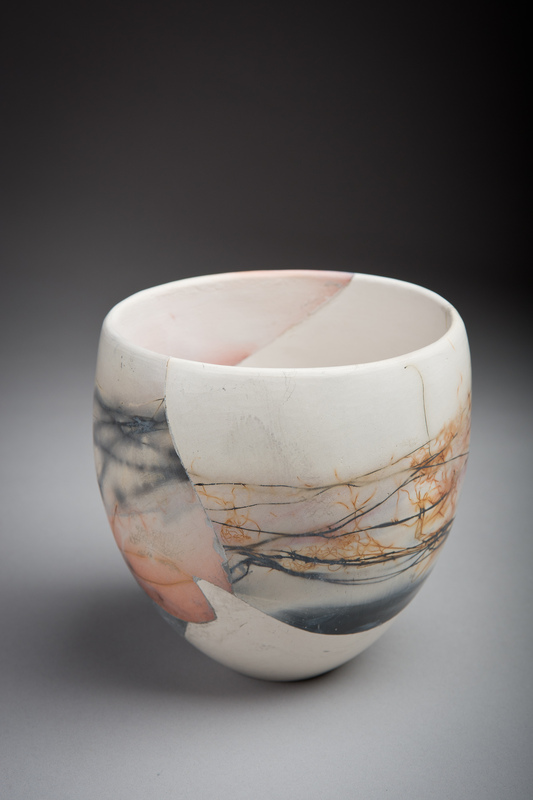 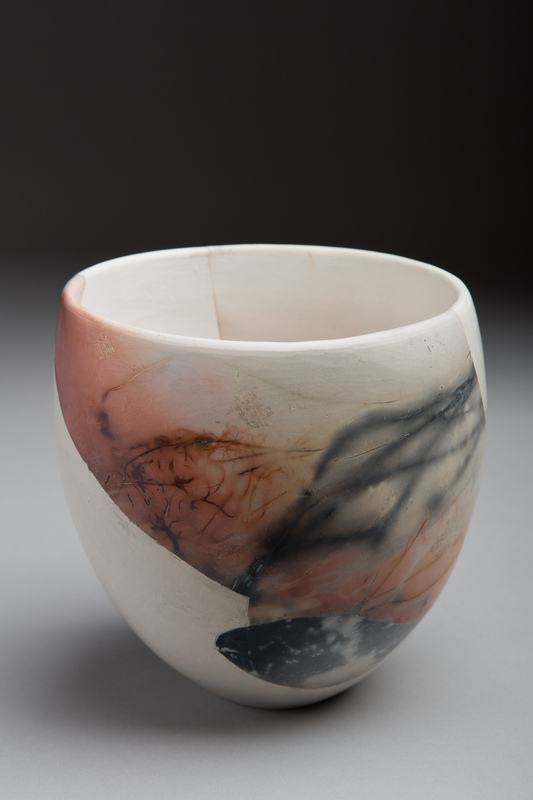 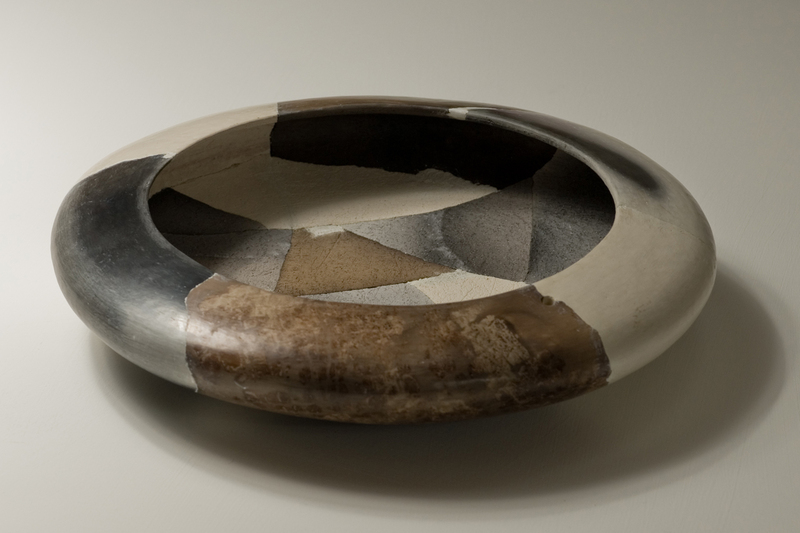 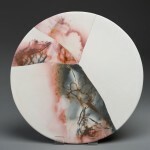 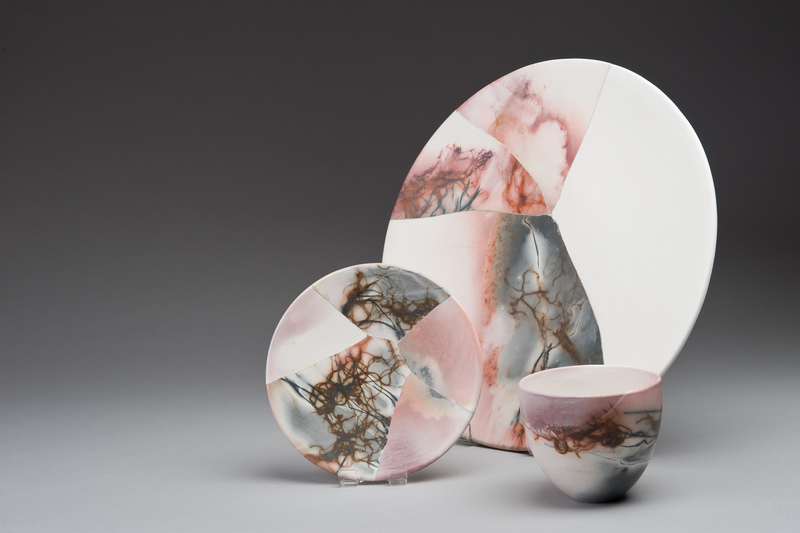 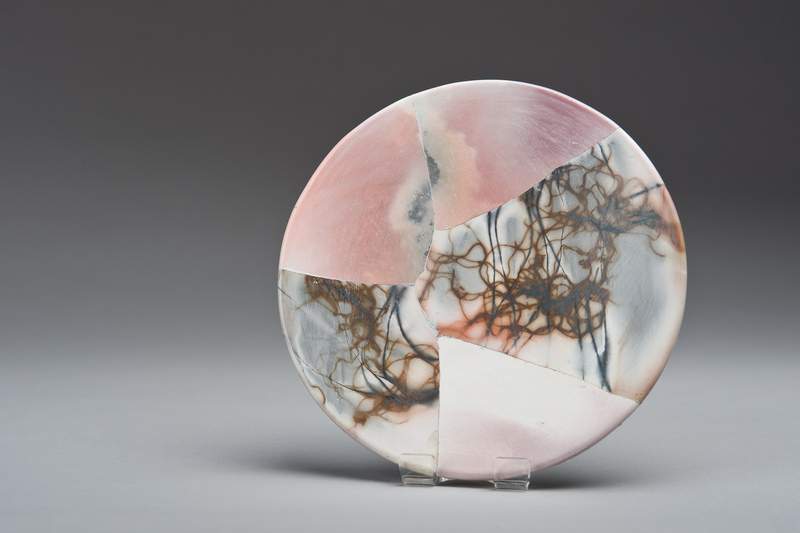 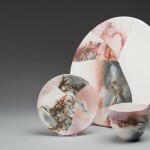 After a piece is bisque fired in an electric kiln to 980 degrees it is deliberately broken. The fragments are then placed within various saggars amongst other work. 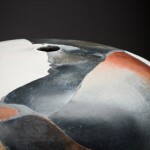 Fired again in a gas kiln they take on individual markings before being epoxy glued back together; the seams are filled with special putty where needed to further increase the integrity. 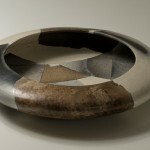 I was fascinated by the bisecting break lines over the form and particularly the juxtaposing textures and contrasts of tone and being able to bring back the break very tightly and reconstruct the form.